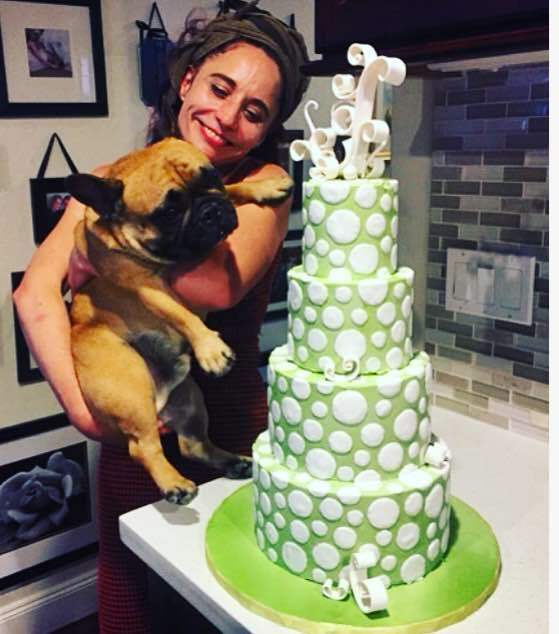 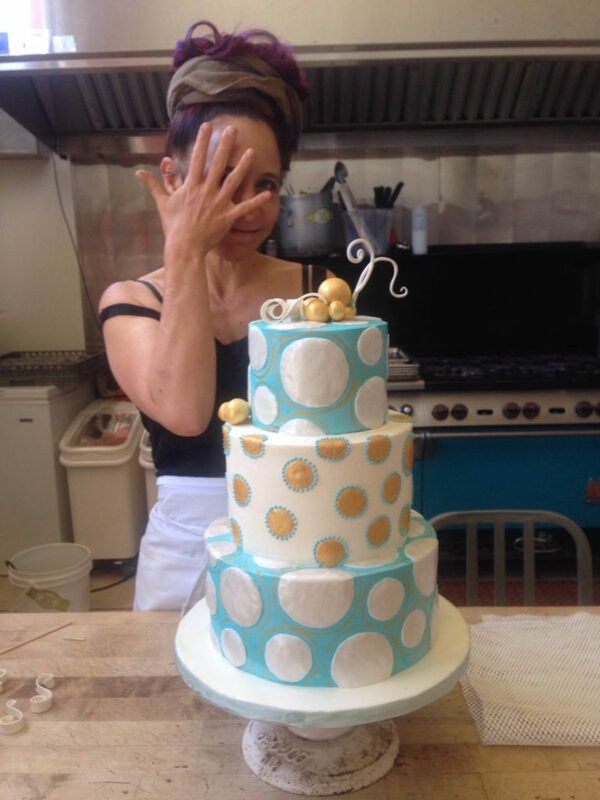 Aimee Page began her baking career as a young teenager, working in a tiny French bakery set in a cobblestone courtyard in her hometown of Santa Cruz, California. 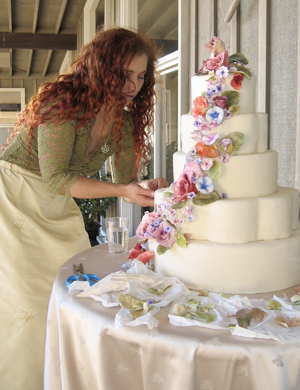 From here she expanded her skills, working as a pastry chef for several years in artistic and organic farm to table restaurants, wineries and bakeries throughout northern California, Seattle, and New Zealand. 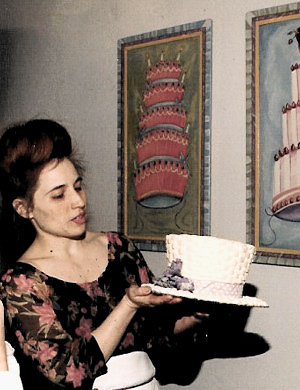 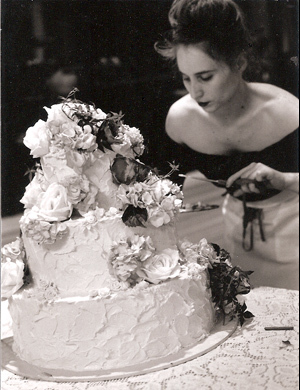 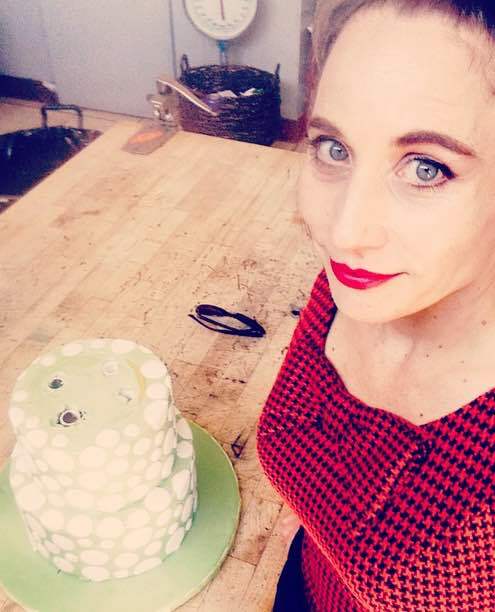 Aimee founded Hollyhock Cakes in Seattle in 1997, creating her unusual cakes and desserts for happy clients. 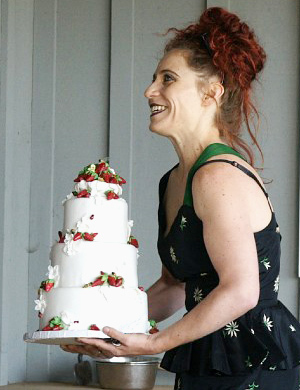 Now based again in Santa Cruz, California, Hollyhock Cakes serves the bay area and central coast- San Francisco, Silicon Valley, to Big Sur. 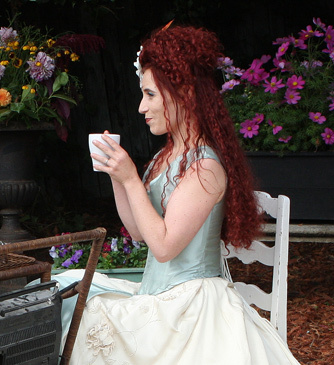 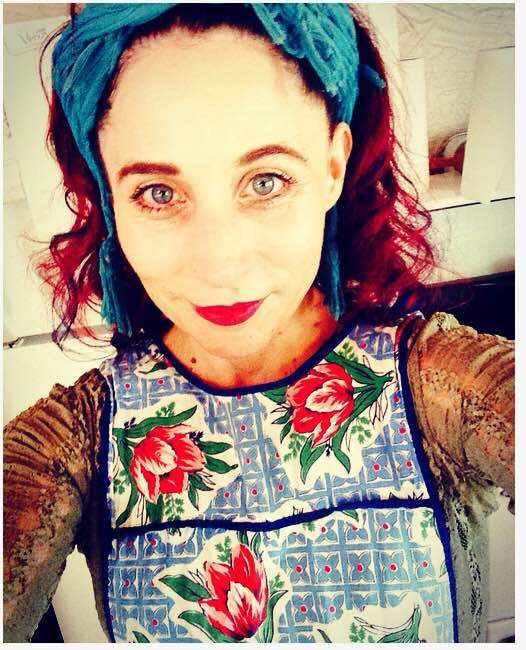 When she isn't baking, Aimee performs as a singer and a performer (Vishnu's Secret , Falling You) and tends to her garden.